VoSAP team met with Chairman of New Delhi Municipal Council Shri Naresh Kumar and his team along with H’ble MP Smt Meenakshi ji and H’ble MP Shri Prabhakar Kore ji. 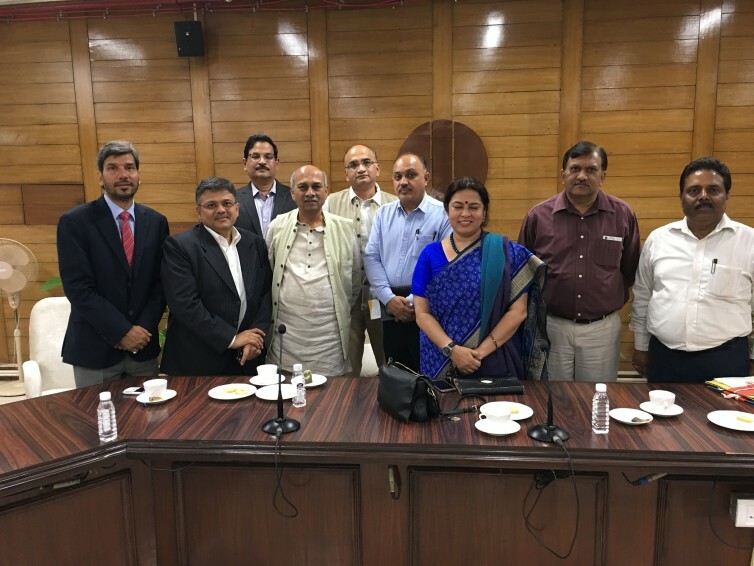 VoSAP is working with SPOC assigned by NDMC Chairman on next steps of immediate implementation and strategic road map to make NDMC – Divyang Friendly. Great commitment of NDMC team and special thanks to H’ble MP Smt Meenakshi ji who took this initiative with NDMC. VoSAP with its advisers like H’ble MP Smt Meenakshi ji is committed to expand the ground level activities and impact for improving conditions for Divyang jan/ Specially Abled People.